Mythbusters just wrapped their final season and it was fantastic! 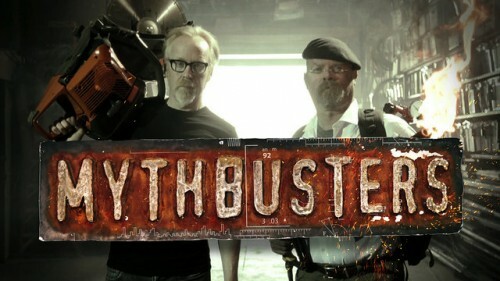 I've followed the Mythbusters for as long as they've been around. It's been almost 15 years and it's finally come to an end. There were some seasons that were better than others and occasionally an episode or two wouldn't quite hit the mark but overall it's been one of the most consistently good shows on TV. I stopped keeping up episode to episode around the time where they were testing 4-7 myths every episode. I've heard from a lot of friends that they did the same and only watched the show sporadically since then. If that's you... you should know that this final season has been amazing. All 11 episodes were fantastic and I was excited every week to see what was coming up next! Not to mention they went out with a huge bang. After rocket-sledding Buster in oblivion they drove a giant wedge truck through props from all the seasons of the show and then had the biggest explosion in the history of their show when they blew up another cement truck. If you are a lapsed fan I can't stress enough how much you should go back and watch this final season. It's completely worth your time! Dang! Sounds like I need to watch at least the final episode then. For me, I've seen pretty much everything up into season 11, but then I kinda fell off from it. And I loved Kari, Grant, and Tory, so when they took them out of the show I didn't particularly care to pick it up again either. It was fun when I watched, but there was just so much of it.... too much of a good thing, I guess. Yeah, lots of people fell away over the years. It's completely worth your time to check out the finale. It was really good.